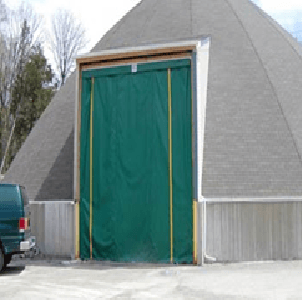 Door Construction – Doors are constructed from a heavy gauge of galvanized steel. Standard color is light tan outside and off-white on the inside. 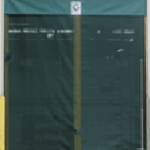 Available as standard or optional insulated panels. 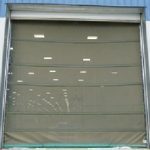 Paylon roll-up service doors can be used for several applications such as storefronts, warehouse, loading docks, rental storage, manufacturing plants or farm use. 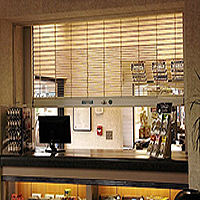 Available in a variety of materials including galvanized, prime painted, stainless steel, and aluminum. Available with remote control or motion sensors. 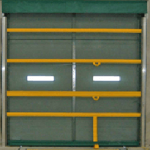 Our roll-up service doors are constructed with high-grade materials with few moving parts. This ensures easy installation and provide many years of trouble free service. All main components are easy to replace. 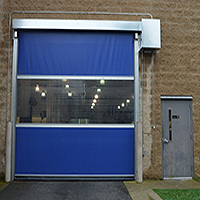 Depending on your application we offer 2 types of electric service doors (Standard duty or high cycle).